I reviewed Neutrogena Ultra Sheer liquid sunscreen three weeks ago. I've always liked Neutrogena products. This product features Helioplex, a breadth of stabilized sunscreen technologies that delivers superior protection from the sun. Here is my review I shared on Facebook. (June 10, 2010). Hope everyone is having a great summer break! I received 2 tubes Neutrogena Ultra Sheer liquid sunscreen*SPF30 from Jenn& The Tidal Labs Team this week. I have been using it last a couple of days.After using it first time I liked it.It is not greasy and leaves skin soft and smooth. We were at the beach 2 days ago and spent all afternoon there. I needed to reapply after swimming.I don't like feel oil after I put on a sunscreen on my face.I don't even like to touch my sunglasses with messy hands.My skin felt clean.I don't have a dry skin.My skin is normal and it worked for me. 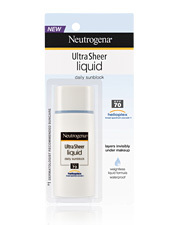 I concern ingredients of skin products I buy for me and my family.Neutrogena Ultra Sheer Liquid sunscreen has Helioplex which stops both UVA and UVB rays.If you really concern sun damages, the best thing to do is to limit your time outdoors. If you can't do this, remember to reapply a good quality sunscreen like Neutregona Ultra Sheer Liquid Daily Sunblock for long time outdoors. Yesterday, I used it under make up.After rubbing it on my face, in a couple of minutes later I only felt smoothness on my skin.No mess.Works beautifully under make-up and moisturizers well.It kept the sun off of me. I recommend this product everyone who looks for quality sunscreen." Would you like to review UltraSheer®, too? for review purposes from Tidal Labs. Hyper Bicycles specializes in BMX and racing bikes for all ages. Hyper Bicycles 20' Hyper Metro BMX Bike-720981 is just the right one for him/his age. *You’ll also need an air pump. When the bike was ready to be hopped on, it was already dark outside. But I didn't ask him to wait until tomorrow(tomorrow is also a school day..Could he wait until he comes back home from school??) I know what he would say..'It's not fair'..night shot wasn't good though. I'm not adding it. ...a trusted friend that makes your kid feel like flying! A good, basic set of knives is a standard feature for even the smallest of kitchen. Good knives will make food preparation faster and easier. A good chef's knife can get very expensive, but worthwhile. Knives that feel good in your hand. Let's face it; you can't cook with out pots pans and utensils! And a good knife is a good start to cook an enjoyable, delicious meal. 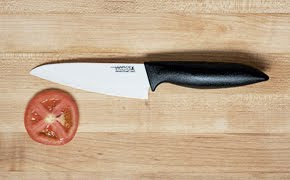 I've received a ViCera's Santoku Knife from ViCera Cutlery (pronounced "vee-say-rah') to try and review. If you use ceramic knives, you probably know these but if you're using ceramic knives first time like me I'd like to share with you guys why I wanted to try this ceramic knife. *Ceramic Knives are weight just half that of steel or stainless knives. Extremely comfortable to use. *Ceramic Knives will stay sharp for years without sharpening. *The blade is so sharp, only little pressure is needed to cut food. 300 times more cutting edge retention than stainless steel. I sliced lemons, limes, tomatoes, bell peppers very thin. * Will last you for long years. They therefore will never become discolored, rust, or stain. *All is needed to clean them, only a simple wipe of the blade or simply wash them with warm water and dish soap. *Often times, steel knives react with food acids leaving behind a metallic taste in food. Ceramic blades will not react with food acids. Why ViCera ??? ViCera's Cutlery are made of better materials and has better manufacturing process than others. You can read here. You have to take care using them because the blade edge is very sharp. Don't use them cutting hard objects like bones. If you drop them from a height the blade is liable to break. Always use a plastic or wood cutting board to protect the edge. I received Vicera's Santoku Knife for review purposes, my review is my opinion and I have not received any compensation for this. Is that all??? Thank God!!! Summer break is just around the corner and my son's birthday is coming up. We saw this bike on CSN Stores and loved it. He is so excited, can't even wait to hop on it and ride around. 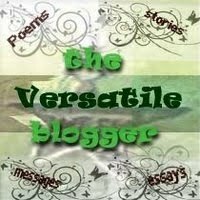 I have been reading about CSN Stores on other blogs I visited. And I'm impressed when I checked out their websites. They have 200+ stores. You can find everything you need...From cookware to toys, outdoor sitting groups to sofas. I was on computer desk and checking out these wonderful websites when he was waiting for bus this morning. The bus stopped to pick up Aria and bus driver was looking at me. Aria said 'he wants to talk to you mom'. When I was walking to the bus honestly I though that he sang in the bus again and this time his voice was more loud then the driver could have tolerated. Because he does this sometime when he is in the bathroom. He said that there is a new student which is Turkish in the bus and can't speak English. He just wanted me to translate that my son would assist him to the office. Lol...Is that all? :-) Thank god, the reason wasn't any complaining about him. Good knives will make food preparation faster, easier and more enjoyable. Can't even wait to share with you guys about my new knife from Vicera Ceramic Cutlery. Since March, I haven't shared with you guys awards and tags I received. 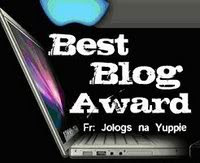 My latest awards are coming from those lovely blogs& lovely ladies! They all are my favorites! Visit them and show these beautiful bloggers some bloggy love! I'm sharing my latest awards with all of you guys as usual! 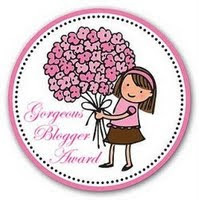 Beautiful Blogger Award and a Photo Tag from Tami@Hearts Make Families. Here is the 8th pic in 8th photo folder. Hehe..It's veggie folder and here it comes..
And now I'm thinking new things about me that I haven't told you before..
9 things about me... Lol. Let's make it 5. I broke the rules again! *I'm easily tickled and I hate to be tickled. *I break or lose my sunglasses often. *I eat much when I'm nervous. *I grew up in Istanbul. *I hate bad hair days! 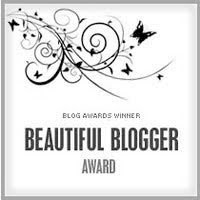 Best Blogger Award and Happy 101 Tag from Emily@Beauty Inside&Out and Happy 101 Tag. Ok, here goes...Another 10 Things that makes me happy..Are you still there? * A cool wedge of watermelon on a hot summer day. * Talking to hubby about good times we spent together. * Chatting with a friend. * Can't believe I'm still thinking about the last one! OK, times up!!! Thank you ladies!!! 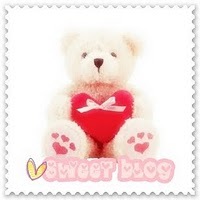 I heart y'all! 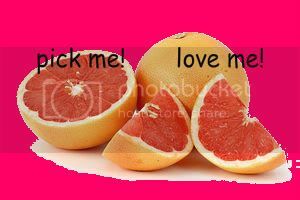 Do you have grapefruit in your fridge? I'm loving this refreshing fruit, it can be enjoyed any time of day. * It can be juiced fresh(yummy for breakfast) Very helpful for weight loss! * It can be layered with strawberry yogurt and granola. * It can also be sautéed, made into marmalades or jellies.. Blend grapefruit pieces with ice cold water until smooth. Add yogurt and honey and process until combined. Delicious!! *You can also boil them with brown sugar. Place grapefruit helves in a baking dish. Mix brown sugar, cinnamon and melted butter and sprinkle this mixture on top of each grapefruit helves. Broil until sugar is bubbly. Garnish with mint and serve! Seriously, I heard about a book written by Dean Kapsalakis. 'The cake Diet!" Maybe I tell you guys about this book another time. Do you have any other ideas? I'd love to try them!